Experience the joyful and festive atmosphere at Vansbrosimningen and be a part of the swimming community! Swim in a river surrounded by natural beauty. The competition has something for everyone; men and women, experienced athletes and mere swimming enthusiasts. Vansbrosimningen was founded in 1950 and is Sweden’s largest Open Water event and a part of “A Swedish Classic”. Nearly 16 000 participate in the events, and besides Open Water Swimming, there are also races in triathlon, swimrun and road cycling! Vansbrosimningen will take place on Saturday 8 July, 2017. The start area is under the classic start bridge and start waves are sent off with 12-15 minute intervals from 10.00 until about 16.00. The course is 3000 meters and swum under seven bridges in venue rivers Vanån and Västerdalälven. The first two kilometers are downstream and last kilometer is againt the stream in river Västerdalälven. Use the current in river Vanån by keeping to the right along the course marker, and close to the docks in river Västerdalälven to avoid the worst currents. Vansbro Öppen Älv 3000 m, 2018-07-06. A part of A Swedish Classic. Vansbro Kortsim is ideal as entry level racing for those who want to try swimming in open water, but also suits the experienced swimmer as a fast race. The distance is equivalent to a third of the main event Vansbrosimningen and is open to both men and women. Starting point is the same as for Vansbro Tjejsim. The age limit for participation is from the year you turn 10 years. Mass start from land at 09.00. Vansbro Kortsim 1 000 m, 2018-07-08. A part of the Women’s Classic. Vansbro Tjejsim has been on the program since 1992. Nowadays it is the largest event in open water swimming for women with around 3 000 participants. 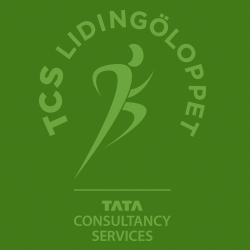 The race is for women only and included in Tjejklassikern (Ladies’ Classic). The age limit for participation is from the year you turn 10 years. Vansbro Tjejsim is 1000 meters long in river Västerdalälven. The race is divided into an elite and recreational event. There are volunteers on docks, in boats and on stand-up boards along the entire course to keep track of your swimming. Swim near the docks to avoid the strongest currents! Audience can follow the race from the promenade from start to the finish area. Vansbro Tjejsim 1000 m, 2018-07-08. The start of Vansbro Halvsim is in river Vanån. After 500 meters swimming downstream, the course take a turn into river Västerdalälven. You will save energy by swimming close to the bridges the last kilometer. The start is on land and start waves are sent off with 10 minutes apart. The race is divided into an elite and a recreational event. For swimmers who wish to participate in the first two start waves need previous qualifications (seeding). As for the non-elite competitors, however, no previous qualifications are required. White markers and red buoys tells you how far it is to finish. Our helpful volunteers keep track on swimmers along the entire course, on the docks, in boats and on stand-up boards. No matter the size if issue – don’t hesitate to call ont their attention. Should you, for example pass a swimmer – make sure you do it to the left. It’s possible to follow swimmers from the promenade along river Västerdalälven (last kilometer). 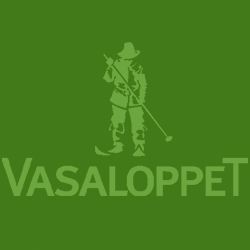 Vansbro Halvsim 1500 m, 2018-07-06. A part of the Half Classic. 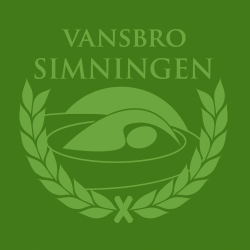 Vansbrosimningen was founded 1950 with the aim to spread the word of swimming, and doing so by swimming a longer distance under the six (today seven) bridges in Vansbro. Nine swimmers of ten completed the first year. 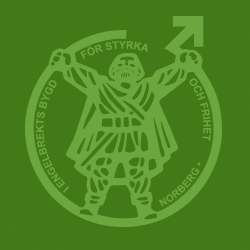 Vansbrosimningen became a contest 1956, before that no winner was named. Nowadays, nearly 15 000 swimmers enjoy three days of competitions, which makes the event to the largest in Sweden as well as one of the more prominent in Europe. Experience the joyful and festive atmosphere at the Vansbro Swimming competition and be a part of the swimming community. The competition has something for everyone; men and women, experienced athletes and mere swimming enthusiasts and you swim in a river surrounded by natural beauty. 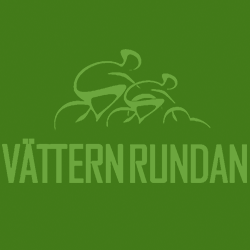 The course is laid out in venue rivers Västerdalälven and Vanån. River Vanån is co-current, while the stream is against the current in river Västerdalälven. River Västerdalälven is the third longest river in Sweden with it’s 315 kilometer. The rivers reach a temperature of + 16-22 Celcius degrees in early July. Current air and water temperature is displayed in the top of our website.